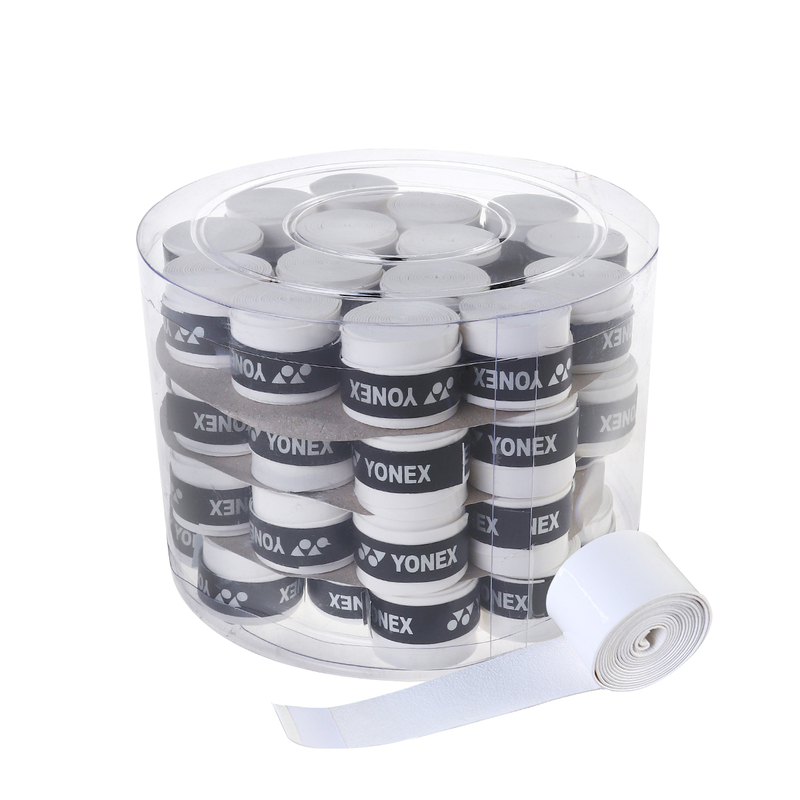 The item is a set of 60pcs simple and practical racket over grips overgrips, which are mainly made of durable synthetic grip wrap polyurethane material, and can well keep from slip of the racquet and absorbent perspiration effectively when you play. 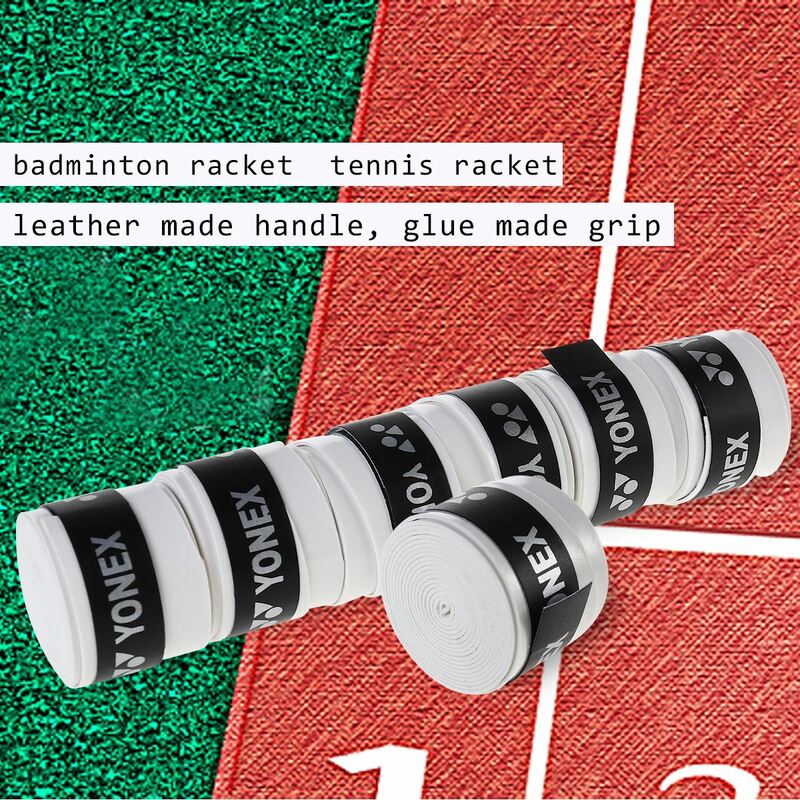 They are suitable for use on tennis, badminton and squash racquet, and can help improve your control skill. 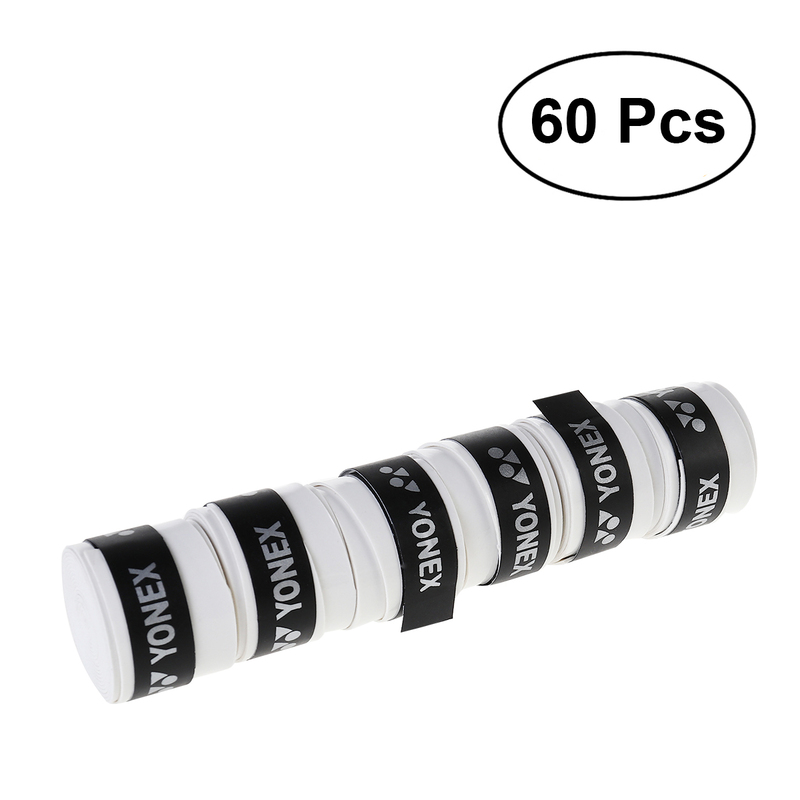 - 60 pieces of the anti-slip racket over grips in one set will be sold together. - Material: durable synthetic grip wrap polyurethane. - Each over grip (L*W): about 110cm*2.5cm; Thickness: about 1mm. 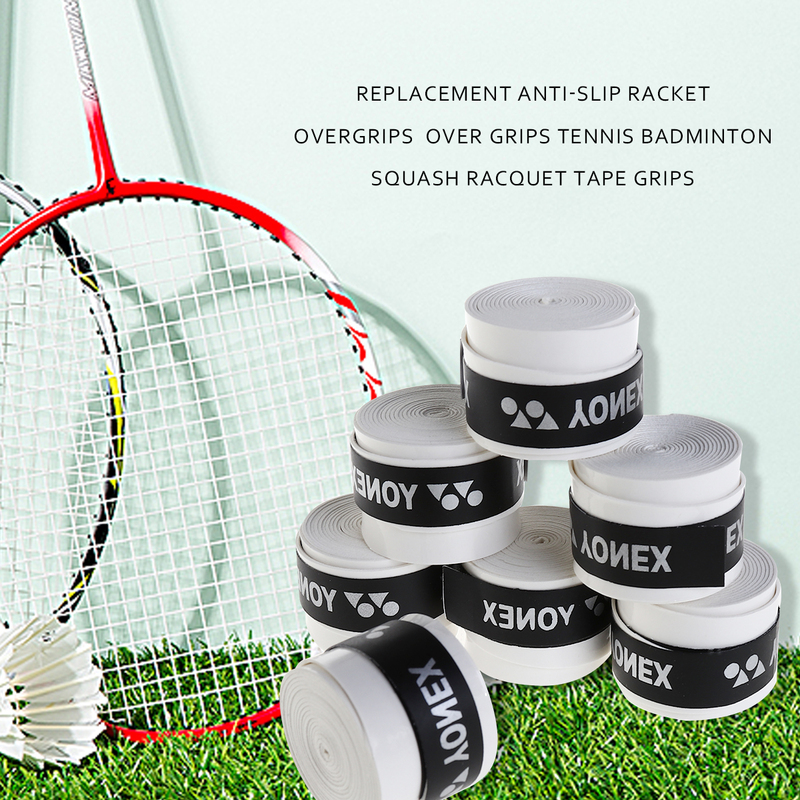 - 100% brand new and high quality Replacement Anti-slip Racket Over Grips Overgrips for Tennis Badminton Squash Racquet. 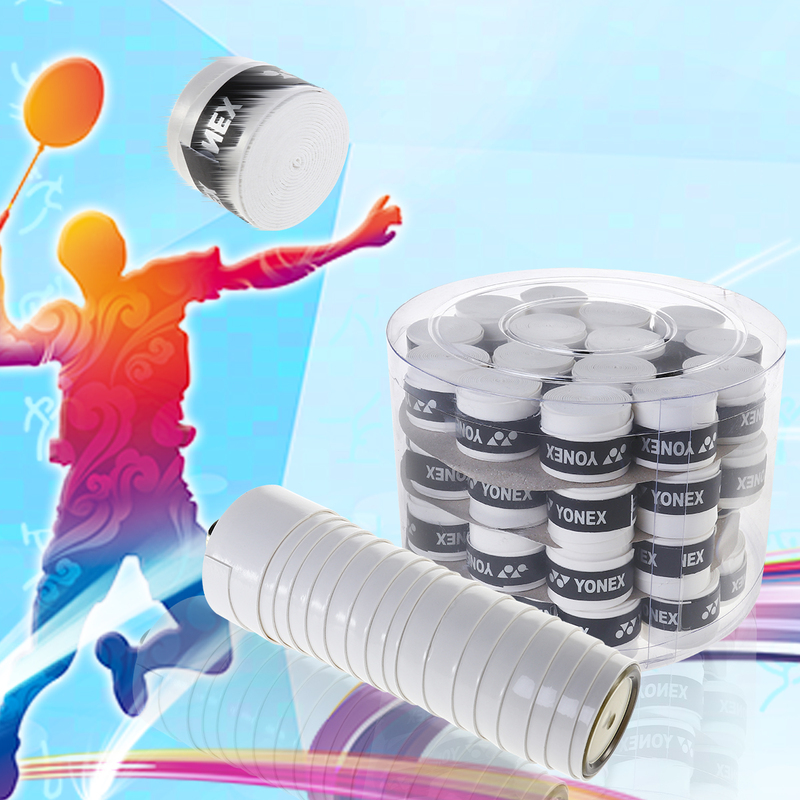 - Suitable for use on tennis, badminton and squash racquet. 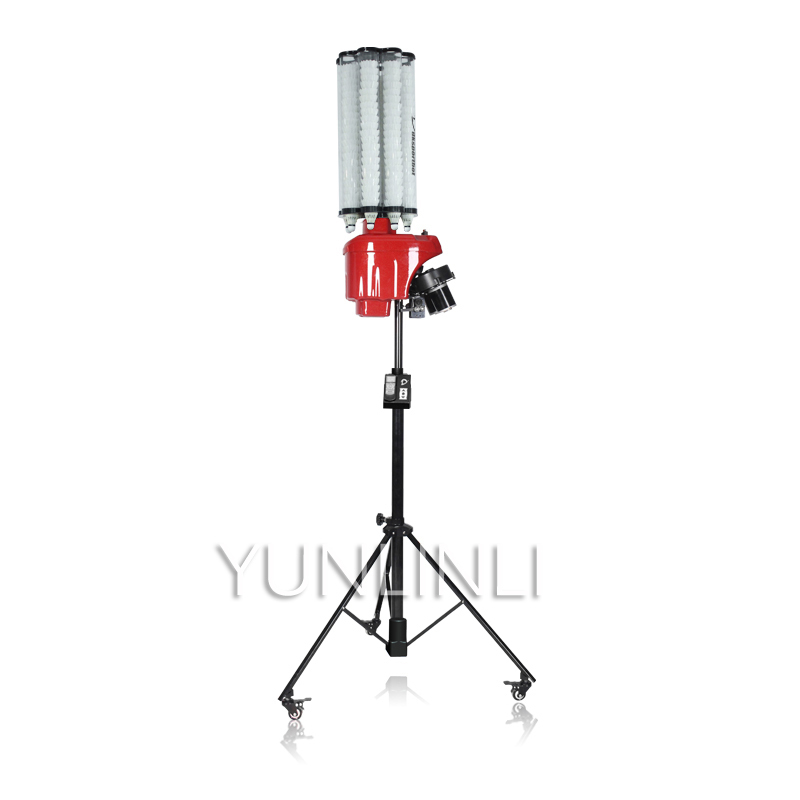 - The grip can be enhanced the play ability via the racquet. 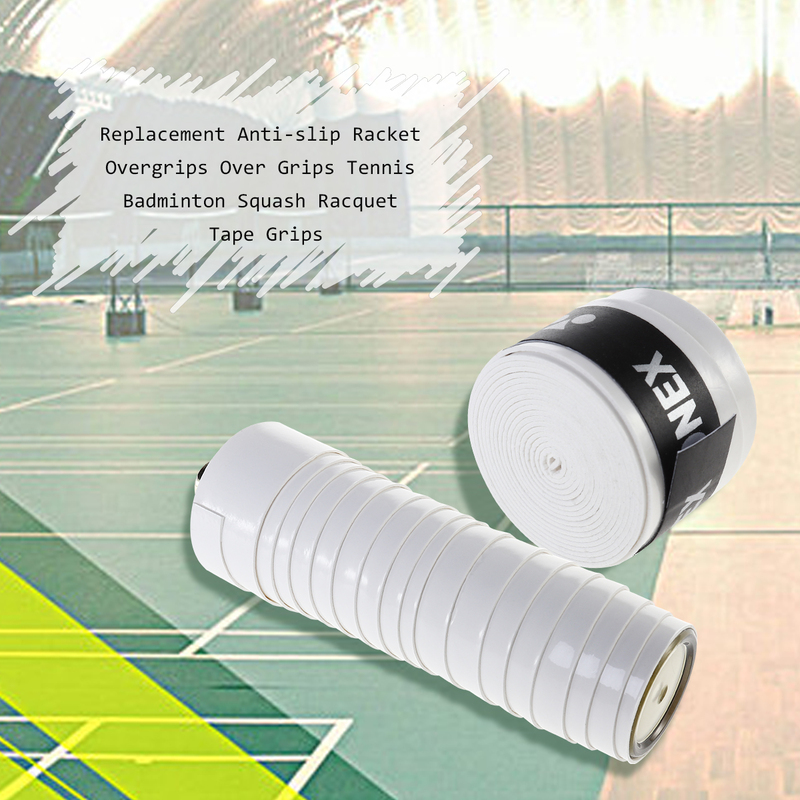 - Anti-slip and sweat-absorbent overgrip provides a secure grip under the most extreme playing conditions. - Improve your control skill.